If you are looking for a smartphone in your native language then Firstouch is the name. 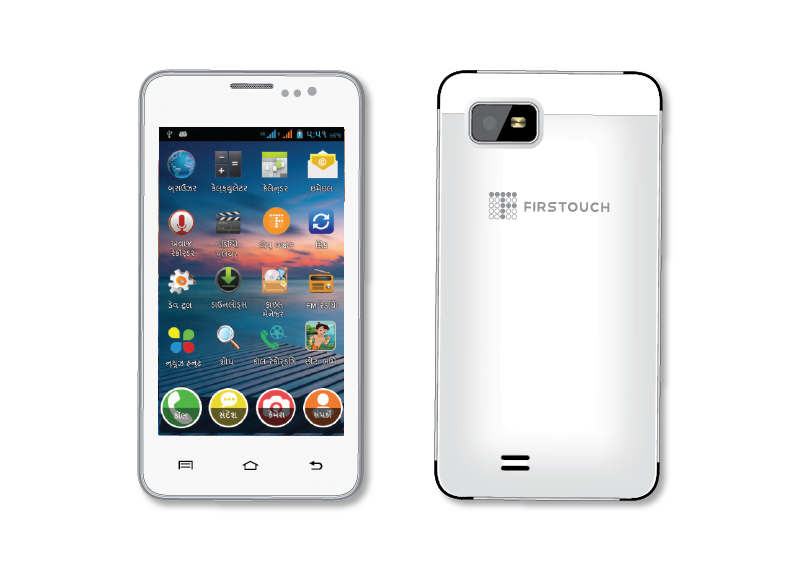 Firstouch is the first ever smartphone designed and developed in India by three IITians; Rakesh Deshmukh, Akash Dongre and Sudhir Bangarambandi of MoFirst Solutions Ltd. Right now, the mobile will be in Gujarati language at a cost of Rs. 6000/- approximately and later it will also be in other Indian language. Here is the specification of the phone. Previous: Previous post: Do you as an Indian rely on Online Shopping as most convenient way?